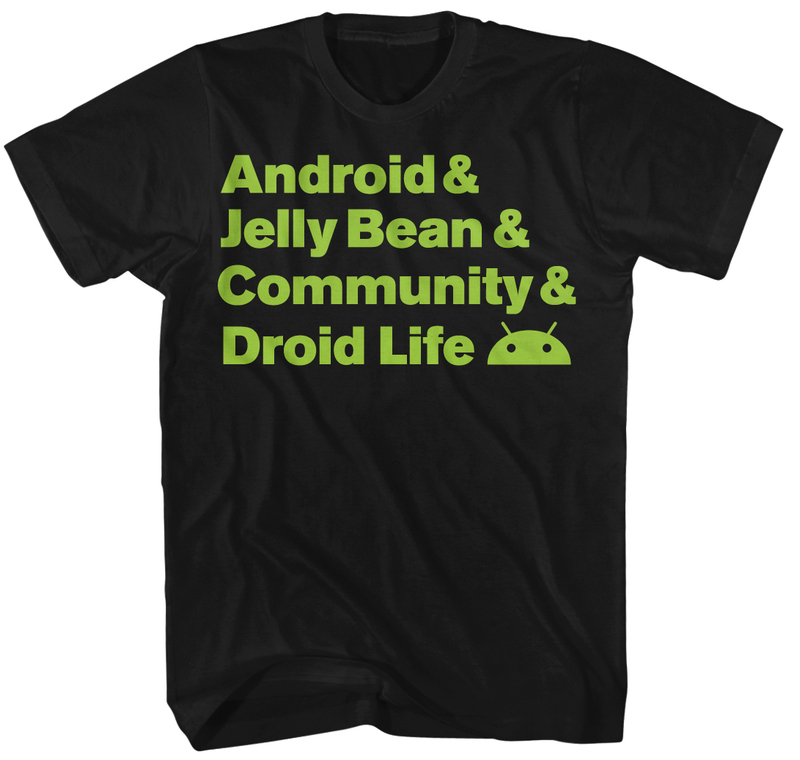 As we head into the weekend, we wanted to remind you that our newest limited edition Droid Life t-shirt and hoodie is available, one that we are calling “Community.” As with any “limited” product, it won’t be available forever. You have until Sunday at midnight to get your orders in before this one is gone forever. The design is based off of Experimental Jetset’s “John, Paul, Ringo & George” shirt, one that helped launch a global craze in t-shirt making. The t-shirt is 100% cotton American Apparel in black, with soft-hand ink in Android green. Sizing ranges from Small – 3XL for men and Small – 2XL for women. If you don’t want black you can email Dion and get it made in Asphalt. For the first tim ever we are going with a zip-up hoodie. The front features a Droid Life logo in Android green and white. The back contains the “Community” design in the same green used on the t-shirt. Sizing is unisex and runs Small – 3XL. *Once orders close on Sunday, the shirts will be printed and begin shipping on Tuesday, 8/7.